The property returned to the Ukrainian state is estimated at almost 6 million hryvnias. The Kyiv Appeal Economic Court of Ukraine declared the transfer of “Yaltacurort” (resorts of Yalta) enterprise property to a private enterprise as illegal, and also granted a number of claims of the Prosecutor's Office of the Autonomous Republic of Crimea regarding the state property of the "Miskhor" and "Eagle's Nest" resorts. “The Prosecutor's Office claimed for the return of the sanatoriums to state property before the occupation, but these cases had been stopped after the spring of 2014. Now we were given permission and we resumed these cases, went to court and won them. These resorts have been returned to state property legally, in fact they will return after de-occupation. 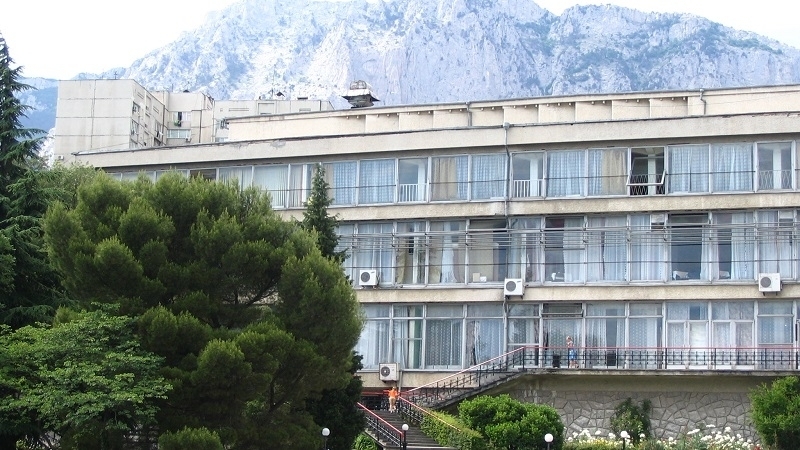 The court's decision saying that the sanatoriums had been transferred to private ownership illegally is already ready", the press service of the Prosecutor's Office of the ARC informed. The court returned the property with a value of almost 6 million UAH to the state, according to the report. It became possible due to the practice of restoring court proceedings that had not been considered in connection with the temporary occupation of the Crimea peninsula. Reference, after the annexation of the Crimea, the invaders began the process of so-called nationalization. According to estimates, the Russian authorities has expropriated the property of about 480 enterprises and organizations worth more than a billion dollars on the Crimean peninsula.